BACK in 1974, Pelé predicted an African world champion by the year 2000. That was a bold forecast but hopes of a FIFA World Cup winner from the continent seem as unlikely as ever. Football Benchmark’s latest paper, Can the African Lions meet expectations?, looks at the underperformance of Africa’s leading nations and points to some big picture reasons why the continent is still not punching its weight on the international stage. There’s no doubt that African countries are more difficult to beat than they were when Pelé suggested success was not too far away. In 1974, for example, Zaire failed to score a single goal and conceded 14, including nine against Yugoslavia. Moreover, Zaire displayed a level of naivety that suggested the game in Africa was far from developed. By 1978, there had been significant improvements and Tunisia became the first African nation to win a World Cup finals game, a 3-1 success against Mexico. In fact, between 1978 and 1990, marked progress was made by Africans, including the memorable performance of Cameroon in reaching the last eight. 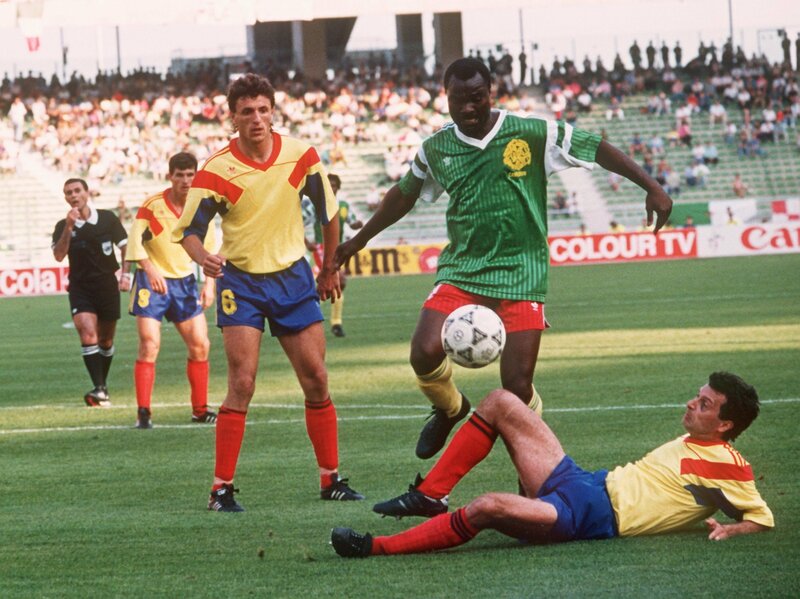 Who will ever forget the antics of Roger Milla? But despite increased participation – in 2010, Africa had six representatives in the South Africa-hosted World Cup – there is still no sign of a breakthrough to the semi-final and final stage of the competition. There is a correlation between the development of domestic football in Africa and the individual countries’ performance on the field. Most telling is the lack of locally-developed coaches. Since the expansion of the FIFA World Cup in 1998, fewer than 30% of African teams taking part have been coached by an African manager. There is also a lack of consistency among nations qualifying for the World Cup, although with 56 members of the African confederation and only five places up for grabs, it is easy to see why qualification has many obstacles. Cameroon, the new African Cup of Nations winner, has appeared in seven of the last nine World Cups and Nigeria has participated in five of the last six, but many nations have struggled to build genuine momentum. Egypt, for example, while winning the African Cup of Nations between 2006 and 2010, have not appeared in the World Cup finals since 1990. This lack of consistency means that many top players are denied the chance to compete against quality international opposition on a regular basis. But there are indications that African football suffers from some of the issues that often plague more developed football countries. There has often been a disconnect between various associations and their national squads, as witnessed with wage and bonus disputes involving Cameroon, Nigeria and Ghana. Perhaps Africa’s prospects will improve with the expansion of the World Cup to 48 finalists. Inevitably, this will increase the number of slots allocated to Africa and the early indications are this could mean nine members of the federation taking part from 2026 onwards. Whether this improves Africa’s chances remains to be seen and depends on other issues beyond football being addressed. As it stands, the continent is still a rich source of natural football talent, but until that potential can be harnessed on a consistent and focused basis, under-achievement may continue to be the story out of Africa.